Spray each planter using either Bauhaus Gold or Satin Iris. Then, spray your ladders either Bauhaus Gold or Satin Iris. In order to cover up the marks on the bead board, spray it with Bauhaus Gold and place on top of the Bauhaus gold step ladder to help hold other fall items. Place your stencil with the word “Welcome” over the black shutter and spray it using Bauhaus Gold. 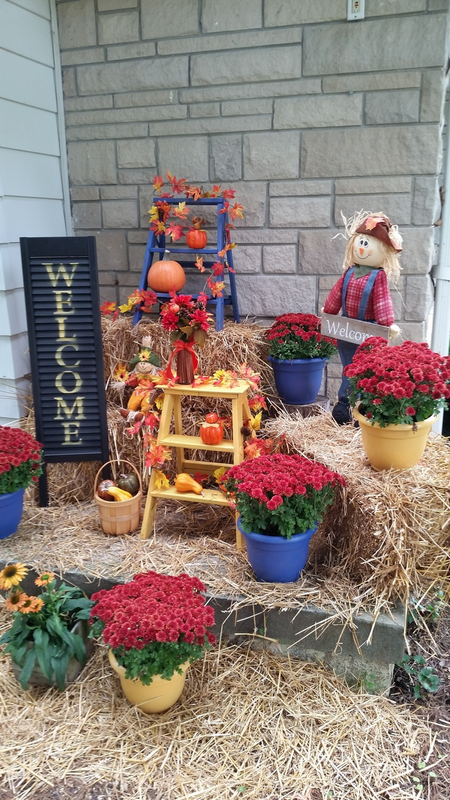 Arrange your newly painted items once they are dry on your porch, and add fall items such as plastic pumpkins and squash, scarecrows, and bails of hay to give your porch an even more autumn look.